BettyeLynn Smith waves to a Glenwood resident who lives across the street from a house that was helped by Community Impact. Smith is the executive director of Community Impact, which is going to dissolve. There's going to be a void when Community Impact of Chattanooga dissolves, said executive committee member LaMonte P. Vaughn. "Somebody else must pick up the banner to help build communities," he said. "There are still communities that need services like Community Impact provided." Community Impact directed more than $11 million in government and private funding to revitalize seven inner-city communities and provided funding and technical assistance to build more than 150 homes and buildings. The organization will dissolve March 31. "It dissolved primarily because of finances," said Pete Cooper, board member and executive director of the Community Foundation, which helped fund the organization. "We knew it wasn't going to be a permanent organization when we started, but we wanted to show a dynamic that works." Community Impact recruited and trained more than 160 neighborhood leaders. They and other residents worked with the Chattanooga Police Department to eliminate more than 50 crime hot spots, and the organization tore down 79 blighted properties. It helped to build the first 12-home green-certified community on North Holly Street in Bushtown, helped M.L. King residents push for M.L. King Boulevard to become a two-way street and revitalized some homes in Highland Park to increase from about $35,000 to $200,000 in value, according to neighborhood leaders. The organization operated with a budget averaging about $1 million a year. About 20 percent of funds came from city government, the rest from private organizations and donors, said executive director BettyeLynn Smith. No federal money was involved. 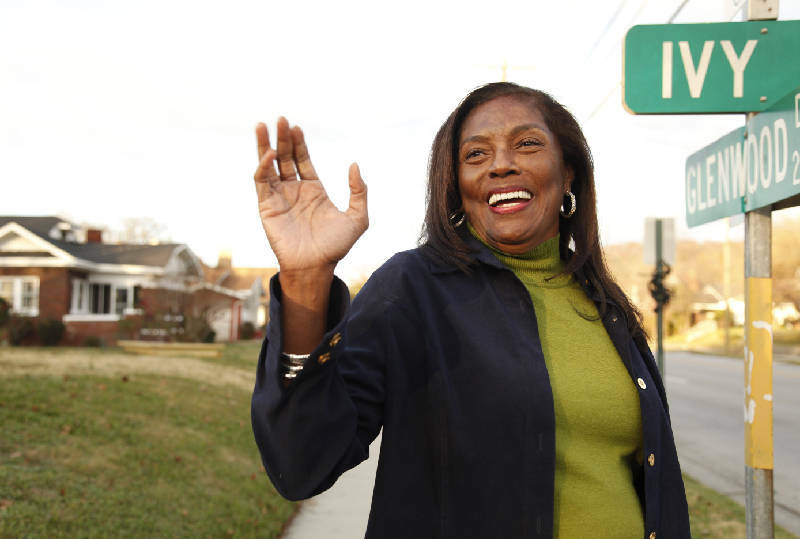 "It shows that people care about the quality of life for all Chattanooga citizens," she said. Its biggest strength was that it gave residents the extra push needed to get the ball rolling, said Tommy Dillard, past president of the Glenwood Neighborhood Association. It helped residents establish relationships with government and law enforcement officials and then showed them how to use those relationships to benefit their neighborhoods, officials said. When Bushtown residents were upset about the number of roads in their neighborhood being closed while a company did work, they understood not to argue with the people they saw putting up signs concerning the traffic. Instead, they went to city and company officials, and the residents prevented another road from being blocked, Smith said. Part of the problem with neighborhood development always has been that it's government-funded, Cooper said. People come in and stay in neighborhoods for two years and expect miracles -- reduction in crime, increase in property value and an upgraded quality of life -- but miracles usually didn't happen, he said. Community Impact showed that communities are worth saving and that it can be done if residents are the primary drivers in the process, Cooper said. If the organization has been successful, residents in the seven communities will know how to maintain improvements after Community Impact dissolves. Residents will know how to mobilize around an issue when their community is threatened, said Smith. To fill the gap that may be left by its absence, Vaughn said Impact board members are eyeing programs that didn't exist when the organization began. The Neighborhood Leadership Institute, started in 2007 by the city's Neighborhood Services Department, teaches residents leadership skills, and the city's Neighborhood Stabilization Program focuses on housing improvements. Chattanooga Neighborhood Enterprise and the Chattanooga Community Housing Development Organization also can assist, officials said. "There are elements of evolution that Community Impact has started that can be picked up by Neighborhood Services or CNE or other organizations now that we've proven that they work," Cooper said. "What Community Impact has done in neighborhoods is remarkable. They've taken some of the hardest, most disadvantaged neighborhoods and empowered people. They've always had power, but not organization, and they've empowered people to step up and do for themselves."